Think you've got what it takes to prove you can make it as an ODST? 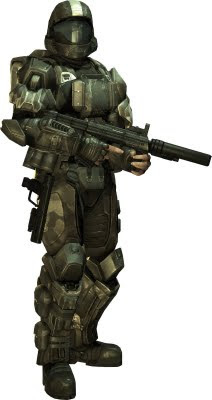 On this Monday in the distillery district, downtown Toronto, the Xbox Canada team will be hosting a training session for recruits that want to get their hands on Halo 3: ODST early. The game doesn't officially drop until Tuesday, September 22. In true military style, at the event participants will be required to sign-up at "the Barracks" before gaining admission. The Firefight co-operative multiplayer mode will be playable on the training grounds. Xbox Canada have set-up a Facebook event page for those who are into RSVP'ing. If you text UNSC to 534847 you get exclusive access to the event before everyone, play ODST first in Toronto and much more!